And add Tainted Strike and Purphoros, God of the Forge . I honestly can't think of any atm in terms of standard, however let me share something from a 4 player commander game like 3 years ago. 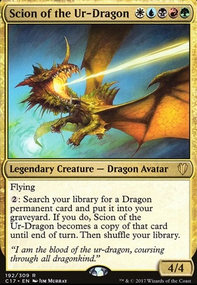 I use to play a Vorel of the Hull Clade deck (was my first edh deck built) and about halfway through the match I had a 6/6 Sphinx of Magosi out that I was using for a blocker. Me and one other friend were the most in the lead over the other two when it came to board states, meanwhile one of my opponents was stuck on 2 lands and a Rakdos Signet and had begun to discard to hand size for like 5 times around the table. I went to combat with the Sphinx of Magosi a few turns later when I had it as an 8/8 vs my friend who was the only significant threat at the time besides me. Also, because I had nothing else to do whatsoever that turn, I just used the effect on my turn to make it a 9/9. He decided to let the damage go through as he had 40 health still. Then completely out of the blue, my opponent that I mentioned who wasn't able to do like anything up until that point in the match cast a Tainted Strike for lethal. The look of surprise from everyone was amazing. Writing all of that out, I actually thought of one that was standard related. I will try my best to recall it all as it got a bit much. Once on a game of arena back when it was just Ixalan block, I was playing a deck that was basically vampire tribal with a decent amount of removal. I played a Bishop of Binding which my opponent immediately chose to exile on my endstep with Cast Out and I couldn't do anything at the time about it. But a few turns later, I played my own Cast Out on his Cast Out to get my Bishop of Binding and exile whatever target I chose once again. He followed this up on his turn with another 2nd Cast Out targeting my copy of Cast Out so that he could get back his first copy of Cast Out to exile my Bishop of Binding again. Then I managed to play a second Cast Out of my own not long after and you get the idea i'm sure by now,to get my Bishop of Binding yet again. My opponent would follow suit with another Cast Out and repeat the process again and what I did this time was play an Ixalan's Binding that I drew which made my opponent quit immediately lol. IAmTheWraith on What's an Atogatog? Dreamweav3r on A Croak, A Scream! There is one requirement for every Dark Kermit deck, and failure to include it is punishable by death. And that requirement is; A foil Tainted Strike , upon which you will record permanently with a tick mark every time Dark Kermit 1HKO's an infidel. I have the FBI watching, don't be reckless. When you swing with Myr Battlesphere you can tap x untapped myr give him +x/+0 until end of turn and deal x damage. If you were to give him infect via cards like Tainted Strike , would the "burn" damage he deals with his effect apply poison counters? "Effect damage" is not really a thing in magic it seems, but does sometime care whether the damage comes from a creature or non-creature spell and what card is actually doing the damage, which the grammar can get confusing. Hey there, love the deck, had it on my watch list for ages now. I'm in love with this interaction and wanted to get your thoughts on it: Repercussion and utilizing damage-based sweepers such as Incite Rebellion and Blasphemous Act . Seems like a perfect way to turn an enemy's strength into a weakness. I know you don't like wraths, but this would be a win condition similar to Rakdos Charm. Obviously the deck needs to be lighter on creatures than your opponents' decks, and might be a little too cute, but if you're already encouraging combat between your opponents' creatures, this would help speed up the clock. 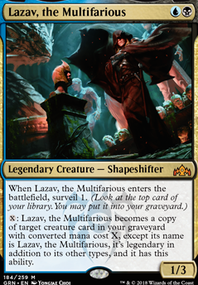 On a related note, I'm curious how you draw the line between damage redirecting rattlesnakes such as Stuffy Doll , Spitemare , Mogg Maniac , and Truefire Captain , compared to cards such as Kazuul, Tyrant of the Cliffs and Marchesa's deathtouch? 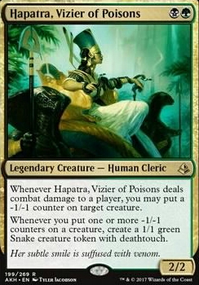 I read your comment where you say opponents have to attack you to get Stuffy Doll to work, but by having a clear, "you know exactly what will happen to you if you attack me," card laid out, much like Master of Cruelties, people should choose to attack elsewhere, therefore fulfilling its purpose as a rattlesnake; what's the difference? Outmaneuver - found this while digging, and it looks HILARIOUS. 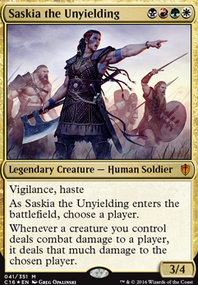 Use on an opponent's attack against someone else to turn a blocked attack into a slaughter. 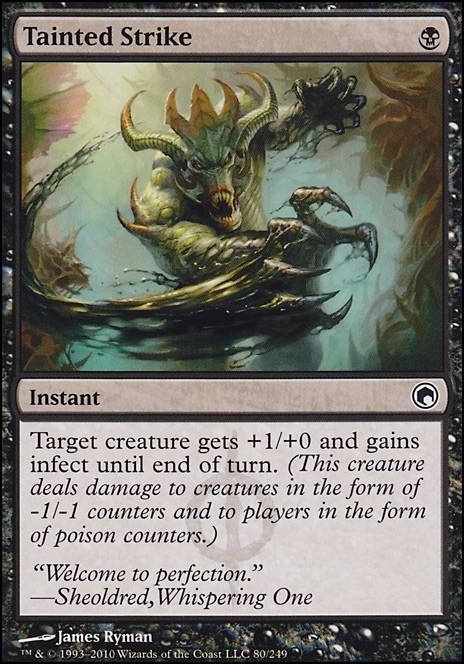 Similarly, because I love infect, Tainted Strike to turn a painful attack into an unexpected lethal one. Again, usable on an opponent's creature, your own Gisela, or a Sunforgered+Boros Charmed anything. Traitor's Roar - expensive CMC, not an instant, but, another option for anti-tall tech, and can be conspired for even more massive damage. Not great, just wanted to mention it. In a similar vein, Agonizing Demise . 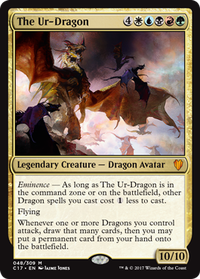 Lastly, because it's so beautifully perfect for an Aikido deck in art, flavor, effect, flavor text, everything: Turn the Tables . Just look at that art; the casual and hilarious smackdown! Read that flavor text; confident as hell! I know, 5 CMC is a lot to hold up, but I love it too much, picked one up in foil. I'm sure you can appreciate it, even if you'd never run it. Shame you changed to such a drastically different meta; I've read what kind of decks you face now, and those are certainly trickier to "Aikido" around to victory. My meta is much more creature-combat focused, so I'm looking forward to something along your initial lines!